"When the dollar rises we see gold falling, but when the dollar falls we don’t see gold recovering because there is very little appetite for gold at this time," said ActivTrades analyst Carlo Alberto De Casa. "Higher interest rates in the US means holding gold costs money." In June, the Federal Reserve raised its benchmark overnight lending rate 25 basis points to 1.75%-2.0%. Expectations are for another two rate rises in 2018 and three in 2019. 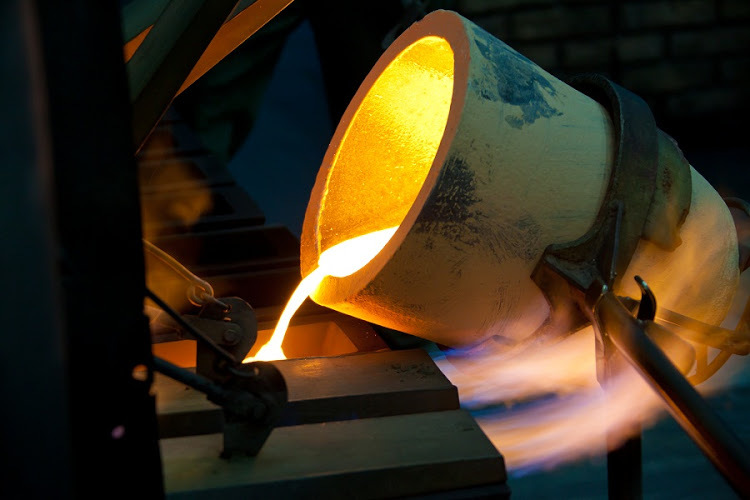 Investors retreating from gold can be seen in the largest gold-backed exchange-traded-fund (ETF), New York’s SPDR Gold Trust GLD, which has seen its holdings fall more than 8 percent since late April to below 26-million ounces. On the technical front, any attempts on the upside will meet resistance at the 21-day moving average currently around $1,258, while support is at $1,237.32 the low on July 3 followed by the December trough at $1,352.92. Silver fell 0.6% to $15.80/oz, platinum lost 1.1% to $829.64/oz and palladium was 0.9% lower at $940.9. "The global trade dispute is threatening to disrupt car sales, placing a question mark over platinum and palladium demand," ANZ analysts said in a note.